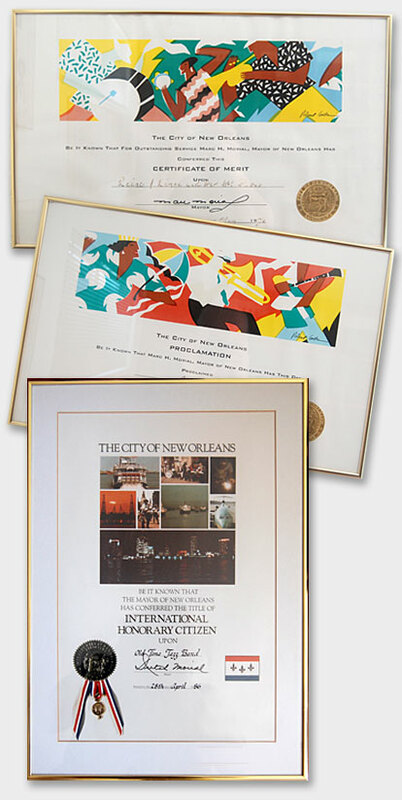 1986 International Honorary Citizen of the City of New Orleans, Louisiana, U.S.A.
1991 Assen Jazz Festival Award, The Netherlands. 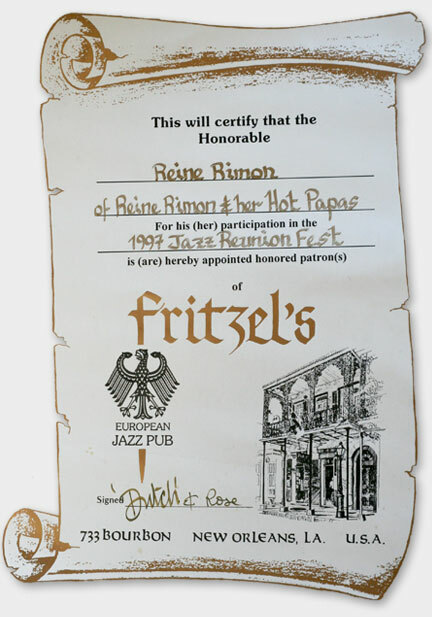 1992 Winner of the Onboard Service Magazine's (U.S.A.) worldwide contest of Airline Inflight Entertainment Programs (Spotlight On Reine Rimón And New Orleans Jazz) by Finnair. 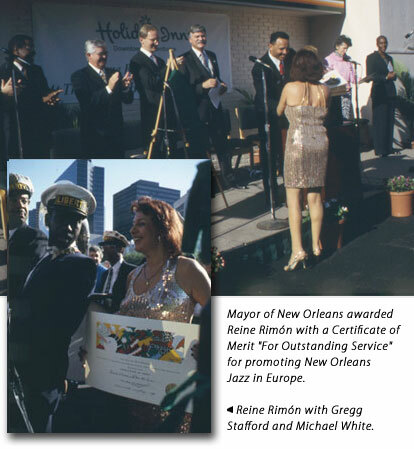 "The Day of Reine Rimón & Her Hot Papas" in New Orleans. Finnair's onboard music program on long-haul flights titled "Reine Rimón and The New Orleans Jazz" won the 1st prize in Onboard Service Magazine's annual contest in 1992. 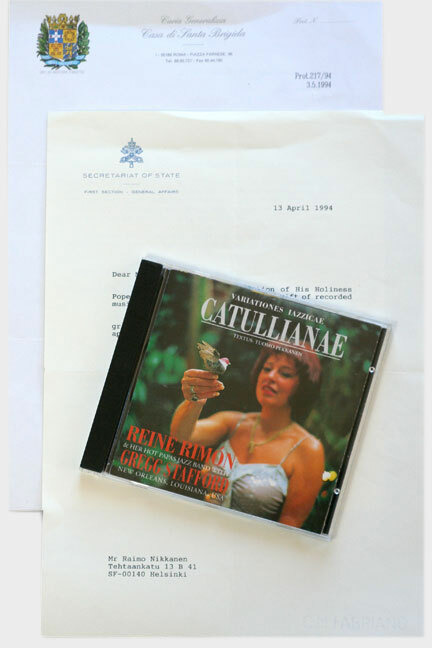 The Vatican has thanked Reine Rimón for her Latin recordings. 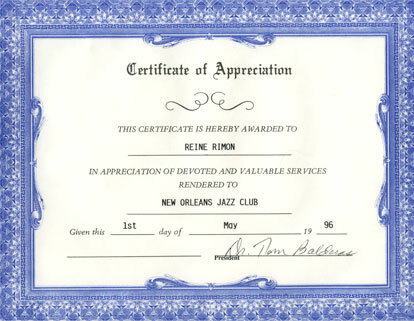 Certificate of Appreciation by New Orleans Jazz Club, 1996.